Whether you’re traveling for business or pleasure, the location of your lodging can make all the difference. Our Blue Ridge Parkway lodging options offer a private seclusion, but are also located just a short drive from local restaurants, shops and entertainment. There’s a lot to be said about the area. And if you’re perusing the web in search of a tranquil getaway with opportunities for adventure, you’ve arrived at your destination. 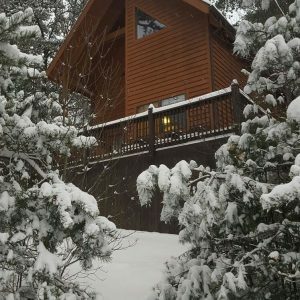 Blue Ridge Parkway Cabin Rentals has two pristine cabins that are perfect for your next trip. Some locations inspire reverence no matter how many times you lay eyes on them. Most of these locations are natural wonders. 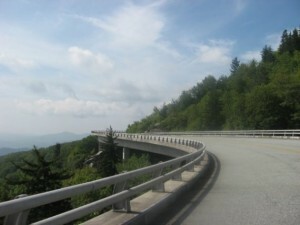 Although it’s commonly regarded as one of the most beautiful places in the United States, the Blue Ridge Parkway has a serenity and character intrinsic to itself. There’s a majesty in its peacefulness and a brilliance in its ecology that makes you feel as if you’ve stepped into another world. If you’re a traveler, an explorer, or just a lover of nature, renting Blue Ridge Parkway lodging with us is an experience you won’t forget. Every day is another opportunity to hike, swim, explore, climb, and more. Miles of trails are accessible and within walking distance from your cabin. Bring a swimsuit to enjoy the three waterfalls nearby, and don’t forget a camera to snap a photo or two. Call us and make a reservation for your next dream vacation at (919) 602-6722. But before you leave our site, be sure to peruse the photos and check our specials. If you’re already sold on your next secluded getaway book your cabin online. We think our photos are worth a thousand words, but you’ll find a few more kind words on our testimonials page to better inform your vacation plan. Most of our renters end up being return customers, and we’re happy to see them every time they come back. Experience for yourself what brings them back every year by booking with us today!